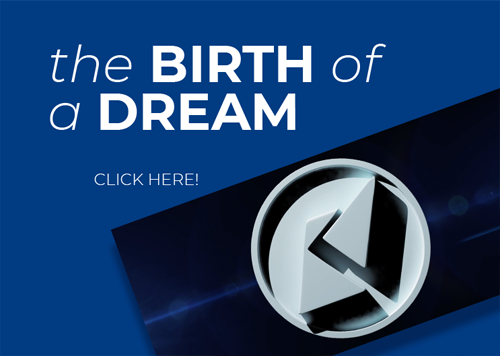 Are you TIRED of the DISTRACTIONS of everyday life? Maybe it’s time to take a break, leave your stress behind, and count the stars with the people you love. 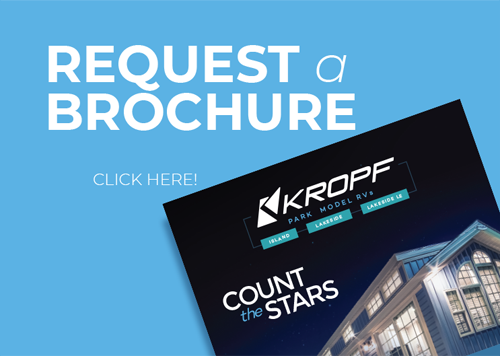 Every second of your getaway counts, and at Kropf Industries, we’ve been perfecting the art of the luxurious escape for more than 70 years. 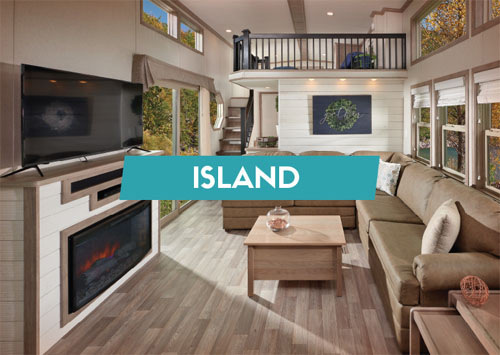 Our park model RVs provide top-of-the-line amenities and options for you to personalize every last detail of your relaxing retreat, so you can create the moments that matter most.  The only thing left to do is decide which park model is best for you. Our Island Series offers the ultimate experience for your excursions, making getaways even more memorable. 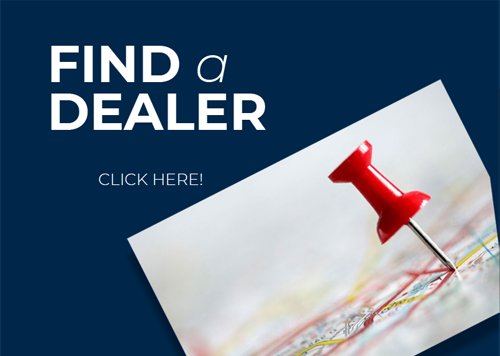 With the large selection of floor plans this model offers, you can personalize your RV from the start. 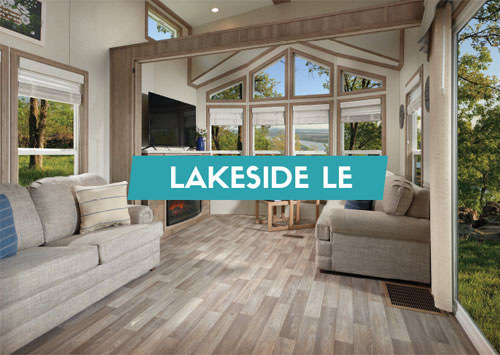 The mid-range Lakeside Series provides a haven of comfort and convenience with a select number of floor plans and options. It’ll have you counting the adventures as you enjoy the outdoors with your family. 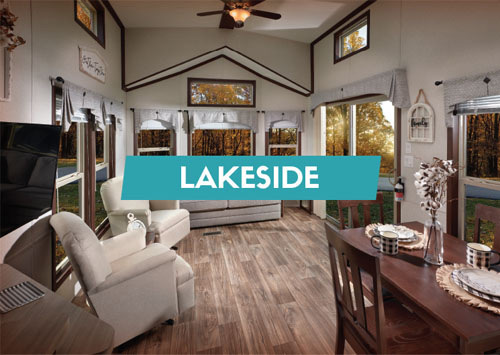 If you’re looking for an entry-level park model RV, the Lakeside LE Series offers a variety of features to help you get the most out of your time away. Once you’ve chosen the perfect model, you’ll be counting the days until your next getaway.